Edward Maya, who is one of Eastern Europe’s leading EDM artists, producer, songwriter, and performer, rose to horizon of international fame in 2009 with the release of the song “Stereo Love.” Music attracted Maya’s interest when he was still a child and attended Bucharest’s George Enescu Music High School. 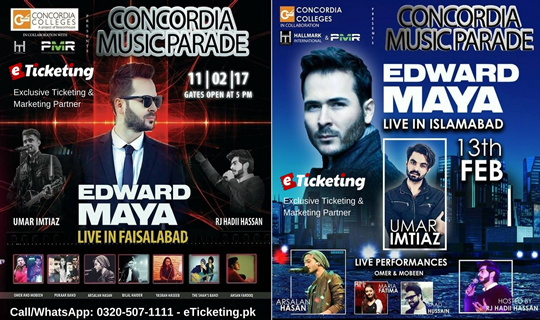 Edward Maya is currently on tour of Pakistan. 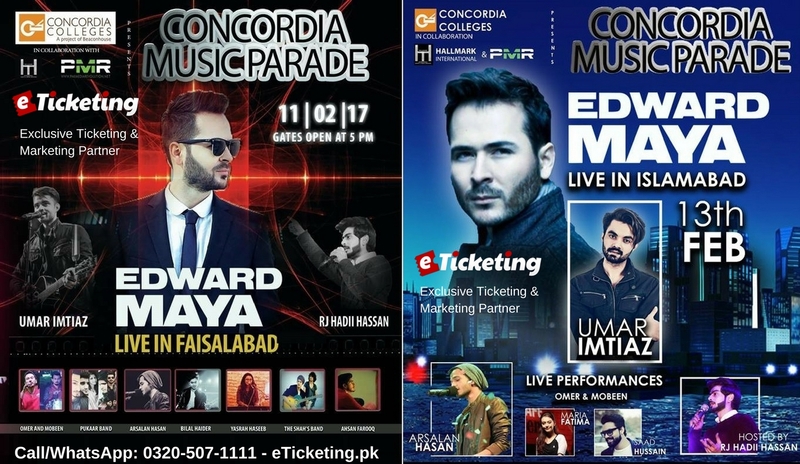 Music maniacs in Pakistan have not to do more wait for a sensational and electrifying concert as world-fame Edward Maya is going to perform in Lahore, Islamabad and Faisalabad. He will be live at Paragon City in Lahore on Fri, Feb 03, 2017 @ 06:00 PM – 10:00 PM, in Faisalabad at Hills Garden on Sat, Feb 11, 2017 @ 05:00 PM – 10:00 PM and he will perform live at Khiva Event Lawns in Islamabad on Mon, Feb 13, 2017 @ 05:00 PM – 10:00 PM and finally he will be performing in Karachi at Port Grand on Sat, Feb 18, 2017 @ 08:00 PM – 11:55 PM. Maya started writing songs with Eduard Carcota while during his studies at the Bucharest Conservatory, and one of their compositions became an entry in the 2006 Eurovision Song Contest. This early success helped Maya to collaborate with a number of Romania’s prominent producers, receiving credits on recordings by Costi Ionita, Cassa Loco, Marius Nedelcu, and Blaxy Girls. Maya himself became a successful producer with the album Fără lacrimi (“No Tears”) by Akcent, which got a number of hits in Europe. Maya joined with Eldar Mansurov and Vika Jigulina to make “Stereo Love,” the first single released under his name. The song emerged as a big hit in Romania, entered in the Top Ten in 16 other countries and attracted over 50 million views on YouTube. Maya released his second single “This Is My Life,” in 2010 another YouTube favorite featuring Jigulina, as well as his first album, called Stereo Love. To facilitate his career and provide opportunities for other artists, Maya founded his own record label, Mayavin Records. Maya threw his third single “Desert Rain,” with Jigulina in early 2011 which reached Top Ten in the Czech Republic while “Friends Forever” followed in mid-2012. Maya’s second album “The Stereo Love Show” was introduced in 2013 which featured another popular single “Mono in Love”.